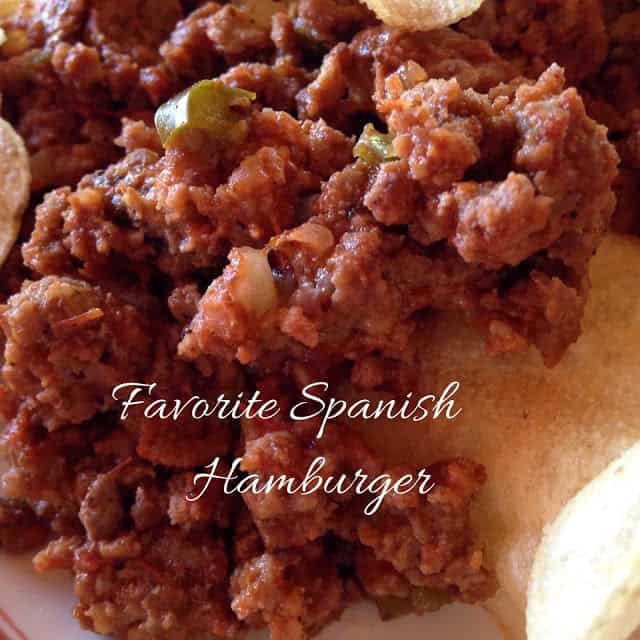 Favorite Sloppy Joe’s a.k.a.Spanish Hamburger have made an appearance at parties, football games or when a fast and quick dinner is on the menu. We like to eat favorite Sloppy Joe’s a.k.a. 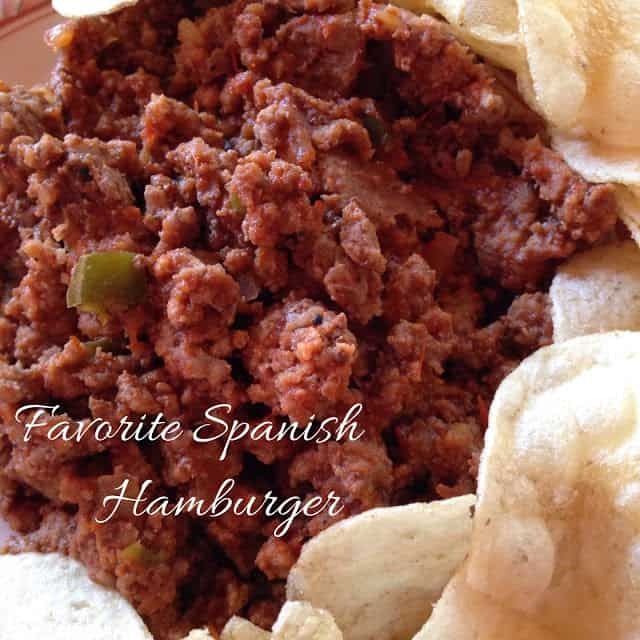 Spanish Hamburger with potato chips but you can serve Spanish hamburger on your favorite buns or rolls. When I was growing up Aggie always referred to Sloppy Joe’s as Spanish Hamburger. In fact, I never knew that the two were one in the same until years later when I was first married. My brother and his new bride were going to have a house warming party and I offered to bring a crock-pot filled with Spanish hamburger. My new sister-in-law said, “That sounds really good, I’ve never heard of Spanish hamburger before.” I thought that was odd but didn’t say anything to her. When we got to the party I placed my crock pot on the table next to the other crock pots and my sister-in-law said to me, “I can’t wait to check out your Spanish hamburger!” When she opened the crock pot she took one look inside and said, “You made Sloppy Joe’s!” and I said, “No I didn’t, I made Spanish Hamburger.” We all had a good laugh over that. Well come to find out, her ‘Hello Dolly Bars’ are what my family calls ‘Seven Layer Bars.’ Funny how different families have different names for the same thing. This recipe for Sloppy Joe’s a.k.a. 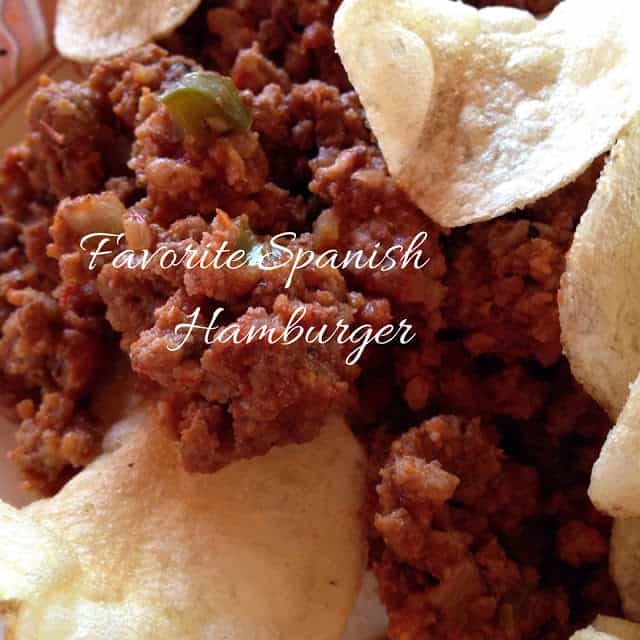 Spanish Hamburger is fast, easy and delicious. Made with only eight ingredients, it has remained a family favorite for as long as I can remember. 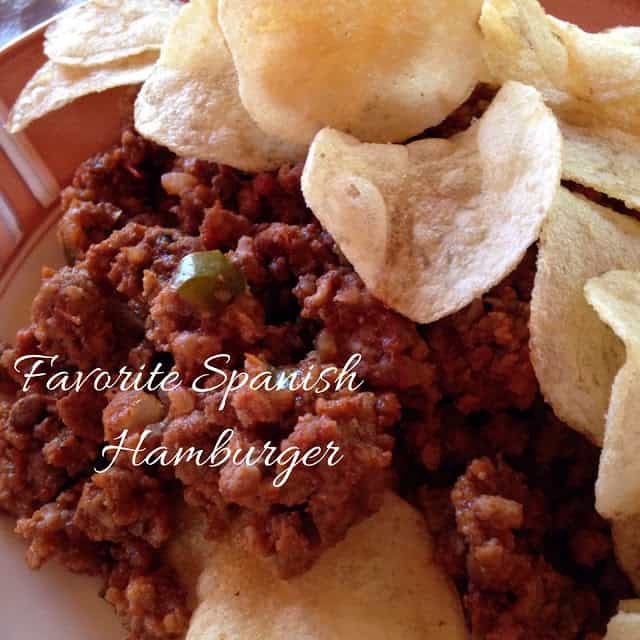 I like to eat my Spanish Hamburger with a big handful of potato chips, another influence of Aggie’s. In a large skillet, cook beef, onion and green pepper over medium high heat until meat is no longer pink; drain. Stir in chili sauce, water, mustard, ketchup, chili powder, salt and pepper. Simmer on low for 30 minutes to 1 hour or until heated through. Or transfer meat mixture to a slow cooker. Cover and cook on low for 4 to 6 hours or until flavors are blended. Serve on hamburger buns or with potato chips.